ready for the class picnic this digital release thursday? 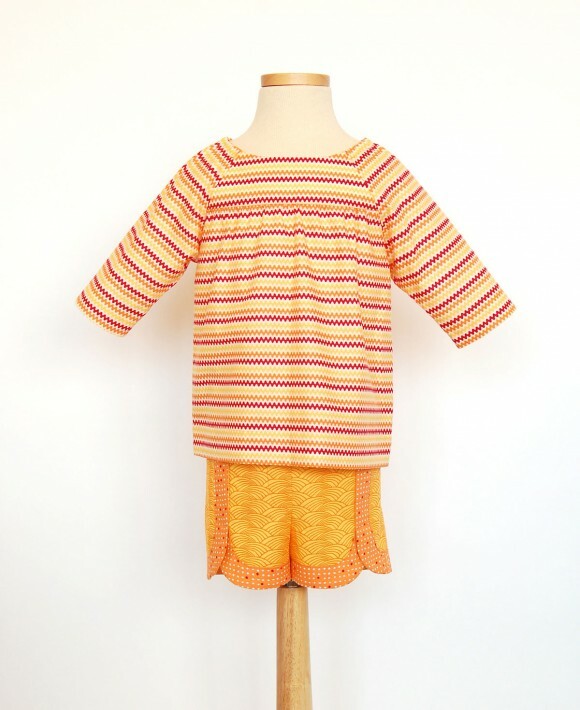 For this week’s digital release, we have the perfect summer pattern for your little girl, the Class Picnic Blouse + Shorts. The pattern for these comfortable and cute elastic-waist shorts includes contrast trim, mock-wrap styling, and a faux fly. The raglan-sleeve pull-on blouse includes gathers at the yokes, elastic at the shoulders, three-quarter-length sleeves, and wide hems. The pattern is also easily customizable. You might remember this blog post Liesl wrote earlier this year about using the pattern to make a cute tunic for S.
The Digital Class Picnic Blouse + Shorts pattern is now available for download in the shop. Oh, I love this little shirt! It’s one of my favorite patterns! So happy to hear that it’ll be available for download now!